HomeLINUX/UNIXRestart MariaDB Galera cluster After Reboot or Galera cluster recovery. Restart Galera Cluster after reboot. Starting Mariadb Galera after reboot on CentOS 7 is the focus of this tutorial. MariaDB Galera will usually need a manual start after a reboot of the CentOS 7. We will check the whole process of starting MariaDB Galera After the reboot and will also try to automate it. Now that we have installed MariaDB Galera Cluster, we need to make sure that we can automatically Restart Galera cluster after reboot. 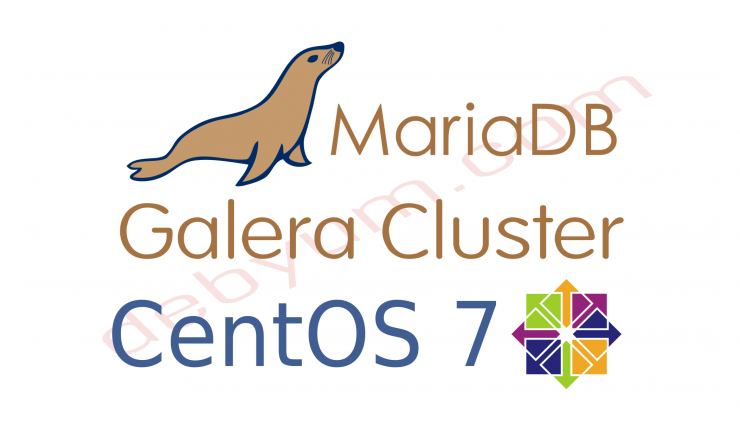 if you still haven’t installed MariaDB Galera on CentOS 7 then you can follow this tutorial. How to Setup MariaDB Galera Cluster on CentOS 7. Errors when we Restart MariaDB Galera after Reboot. Starting MySQL.170126 10:28:58 mysqld_safe Logging to '/var/lib/mysql/galera-01.engy.remote.err'. Let’s take a look at these errors and try to resolve them. The errors are being logged in /var/lib/mysql/galera-01.engy.remote.err file on galera-01 server. 170126 10:29:01 [ERROR] WSREP: It may not be safe to bootstrap the cluster from this node. It was not the last one to leave the cluster and may not contain all the updates. To force cluster bootstrap with this node, edit the grastate.dat file manually and set safe_to_bootstrap to 1 . 170126 10:29:01 [Note] WSREP: Service disconnected. 170126 10:29:02 [Note] WSREP: Some threads may fail to exit. As suggested we will edit the garstate.dat file and make the necessary changes. The original contents of garstate.dat file. Now try again to restart the main node. Starting MySQL.170126 10:42:22 mysqld_safe Logging to '/var/lib/mysql/galera-01.engy.remote.err'. On the other nodes, start the Mariadb service. Automate the whole process By Cron job. I have used this cron job to automatically restart the Mariadb Galera after reboot and it is working fine. (for now). I have tested it 4-5 times and haven’t faced any issues yet. On the main Mariadb Galera node, Set a cron job as follows. As root. Do verify the location of the garstate.dat file before using this step as a copy paste. Again Please verify the location of the garstate.dat file file before setting this job as it may be located somewhere else on your system. On other nodes set a simple Cron job to restart the mariadb service. Now it will automatically Restart Galera cluster after reboot. Thanks for visiting this page and if you have a better solution for this problem then please do let us know via comments or message on any platform.